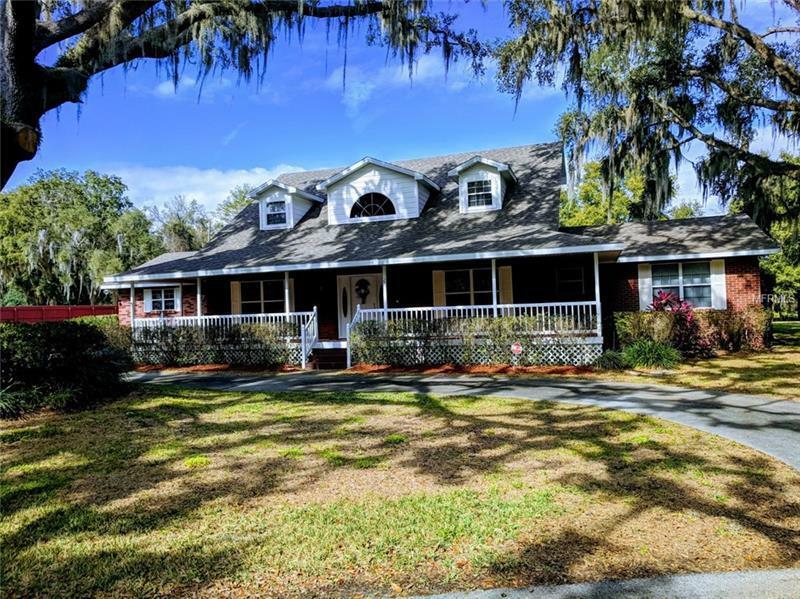 Harris Chain of Lakes access with this stunning 4 bedroom, 3 bath plus 2 half bath, Pool Home on almost half an acre with a Boathouse. This incredible home features comfortable living with an office and two other bonus rooms. Close to all amenities but with privacy and the country feel. If you like wide open spaces, this home has it all - both inside and out. The kitchen is a Chef's dream featuring a center island, walk in pantry, and two ranges. The Master Suite is enormous with views and french doors to the pool area and back yard. The Master Bath features an oversized shower and jetted tub that you may never want to leave! The Great Room features hardwood floors, a wood burning fireplace and french doors leading to the porch and pool overlooking the fenced back yard. There is plenty of room for entertaining on the back porches and in the large pool. This home has been beautifully maintained and is in great condition for the next Owner. Put this one on your list of Must See's! Courtesy of Lake County Home Team, Inc.